Meet new people in Manchester and try new things in a fantastic, fun, friendly and relaxed environment. 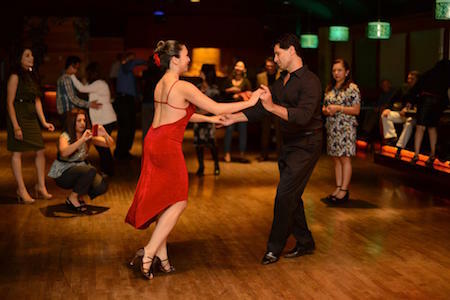 A salsa class is the perfect way to get to know some great new people, have fun and get to learn a new dance all at the same time. This enjoyable class is perfect for those who want to learn or improve their Salsa in a relaxed and friendly environment. The class is mainly LA crossbody style, with some Cuban; plus extra fun sessions such as Merengue, Cha Cha, Bachata and Rueda (Cuban Wheel). Beginners and Improvers both very welcome. Beginners class 7.30pm, Improvers 8.30. Tony & Karen your host/instructor combine the class with Social Circlers and their regular attendees. I love the evenings out when everyone ends up dancing - such a fun group!